Perhaps no other industry is as impacted by customer demand as retail. Today’s customers want immediate, easy, 24/7 shopping experiences—and they want it yesterday. Last year, we made some projections about what we’d see in retail in 2018. Some of those panned out big time (mobile shopping, e-Commerce, data collection) while others lagged behind (VR headsets still haven’t quite caught on in the retail space—and at this point, I’m not sure they ever will). Below we’ll take a look at the digital transformation trends in retail and how they’ve changed and what’s ahead in the new year. Obviously, omnichannel efforts have been around for a while, but I can’t say they’ve all been successful. Just this year, I made a purchase online, opting to pick the product up in store. When I arrived there, no one knew about my order. What’s more, they said they hadn’t even seen the product I’d ordered since the year before. An hour later, they found it in a dusty box in the back of their warehouse. But believe me when I say I didn’t shop that retailer again in 2018—either online or in-store. This year, omnichannel will become a must as consumers move faster and demand more from their retailers. If your site is down or your product count is off—they’ll be moving to the next retailer who has their omnichannel experience together. Omnichannel may not be one of the sexiest digital transformation trends in retail, but it is definitely the most necessary. You can call it AI / chatbots or robot-assisted customer assistance—the fact remains, cognitive computing will grow exponentially in 2019—and the companies who do it well will move them to the head of the pack. You’ve likely already realized it can be difficult to tell whether you’re dealing with a person or bot when you seek chat support online—at least for certain savvy retailers. And those seamless chat experiences make a huge difference in customer retention. I recently had an experience where a shipment from Amazon was marked “delivered” but had not been received. When I chatted to their support team, they instantly told me I was a valued customer and they quickly refunded me. There is no doubt in my mind, cognitive computing was helping this chat session along—instantly calculating how many problem-free purchases I’d made on Amazon Prime this year (hint: a lot), and that a $60 refund was tiny in the vast scheme of our shopping relationship. I closed the chat within a minute or two—completely fulfilled and ready to purchase from Amazon again. That’s the value of cognitive computing in 2019. To me, this is the kind of customer experience retailers need to be pushing if they want to stay competitive this coming year. Yes, it’s cool to give AR and VR experiences. But in the end, customers want to feel valued, and they want shopping experience to be quick and easy. Fancy VR will bring them in the door, but everyday improvements will keep them coming back. As for smart beacons, they had their growing pains, but I think we’ll be seeing “proximity marketing” becoming a lot more popular this year, especially with advancements being made by Google Beacon technology. Honestly, it feels strange that it hasn’t taken off already, given how quickly the rest of the market has moved with IoT and data collection. But the kinks should be figured out by 2019. This will also be the year when we see how much “push” consumers are willing to take, and whether there are any limits to where they’re willing to be marketed. Smart beacons are something to keep an eye on where digital transformation trends in retail are concerned. One of the most frustrating things these days is making a shopping run, only to get to the cashier to find they don’t take ApplePay—and that I have no wallet on-hand, some of you may be scratching your head at a this, but cardless payments will be the way of the future. In 2019, we should be seeing some improvements in cashless/cardless retail. It may be one of the unsung heroes in terms of digital transformation trends in retail, but for those of us apt to forget out wallets and purses, this will be a huge push forward. And it will definitely impact which retailers I choose to shop with in the coming year. Obviously, mobile apps and data collection will continue to reign and are two of the digital transformation trends in retail to watch for. You don’t need to be a psychic or tech guru to expect that. My anticipation in 2019 is that they may “reign” too hard—meaning customers will get app fatigue, tired of having to download every store’s individual app to get this week’s coupon or latest deal. (Target found that out the hard way with Cartwheel.) In 2019, there will be some great opportunities for companies who can help centralize customers’ app sprawl to make shopping from one spot even easier. The IoT will continue to be strong in terms of data collection—and that retailers will continue to find new and better ways to use the date they’re gathering in useful ways, from improving store layouts to changing product offerings. My gut says, however, the IoT will move to the background of the shopping experience. 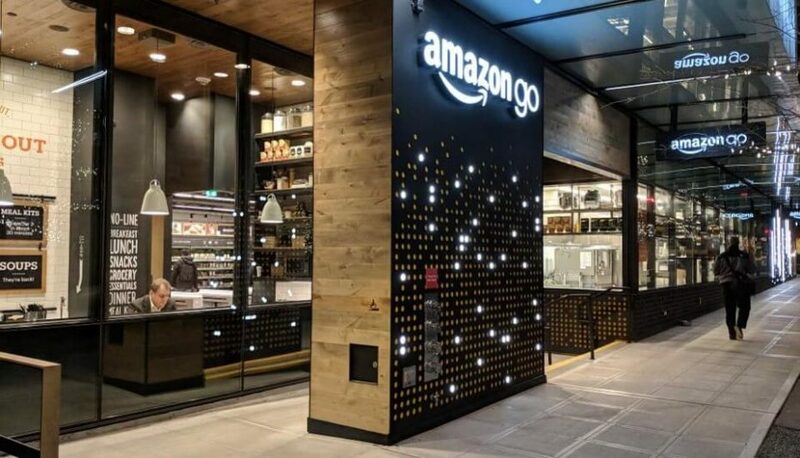 Retailers will use it to gather data, but “IoT” proper will lose its buzzword strength as customers begin to care less how the technology works—and care more about experiencing a seamless, simple, easy shopping experience.